Added on July 8, 2016 by ROSEGALLERY. Andrew Dickson for The Guardian detailed the Memphis-made man and his iconographic photographs in anticipation for William Eggleston's upcoming solo exhibition William Eggleston: Portraits at the National Portrait Gallery. The exhibition will be on view from 21 July until 23 October, 2016. "William Eggleston is a pioneering American photographer renowned for his vivid, poetic and mysterious images. This exhibition of 100 works surveys Eggleston’s full career from the 1960s to the present day and is the most comprehensive display of his portrait photography ever." With impeccable timing, 40 years on, Eggleston returns with another major retrospective at another major museum, the National Portrait Gallery – a sign, perhaps, that Eggleston is now part of the establishment. Colour photography is mainstream; mobile phones and social media have made snapshots the most natural visual language of all. 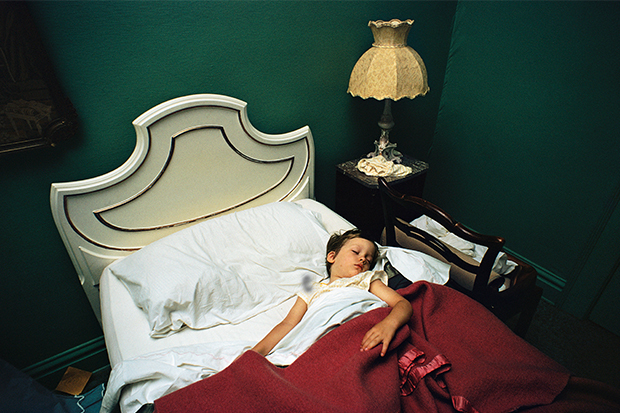 Once reviled, Eggleston himself is now revered, and correspondingly expensive – prints now sell for £350,000-plus. Yet to encounter his photographs is still to revel in their strange wonder, their droll and sphinx-like resistance to interpretation. Critics falter when they try to place him: a reworker of the Duchampian readymade? A chronicler of southern gothic? Eggleston, forgivably wary of those who presume to pin down his work, prefers to let the pictures do the talking. And what they say remains peculiar enough."